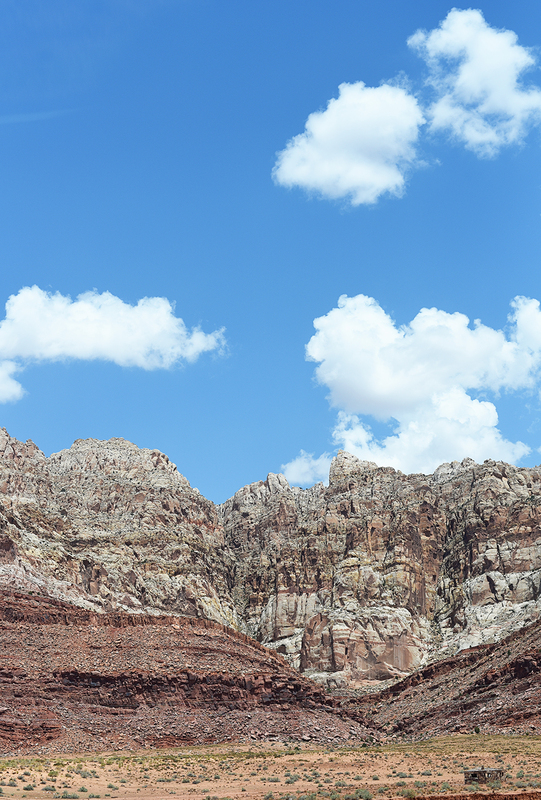 Tips For a Screen-Free Road Trip With Kids - Real life, on purpose. Last month we went on two road trips–one for fun and one for family stuff–but we did both completely screen-free…and they went remarkably smoothly! 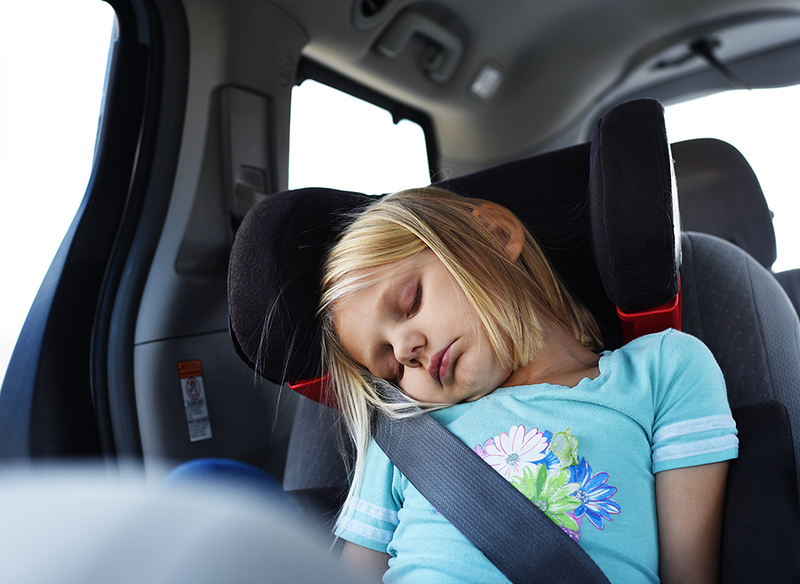 One one hand, I can’t help feeling grateful that our kids are getting old enough and experienced enough to handle eleven hours in the car without turning into gremlins. Our spring break trip to Antelope Canyon was a good practice run, with each trip since then getting easier. On the other hand, I keep waiting for the other shoe to drop. Like…are they just lulling us into a sense of false security so we’ll plan an EPIC ROAD TRIP and they can vomit everywhere and scream like banshees until we decide to never leave the house again? 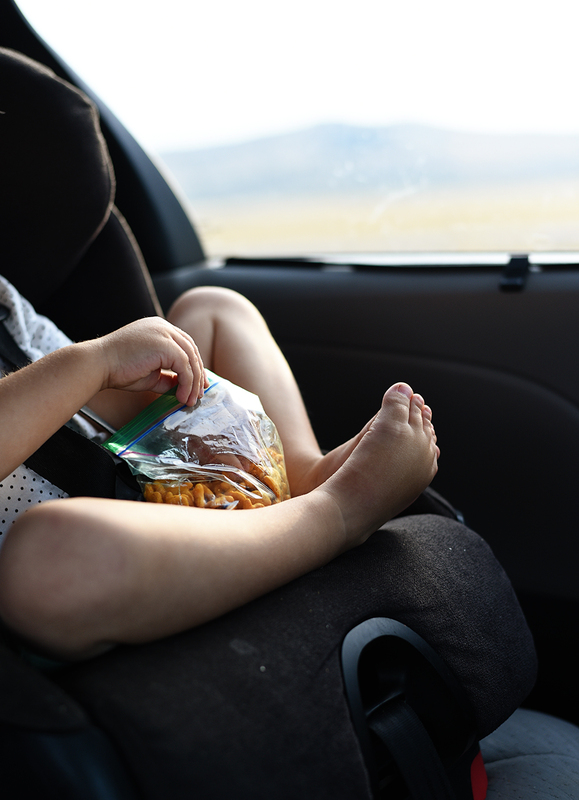 Now let me be clear: when I say we went on a screen-free road trip, it’s not because we’re opposed to letting our children watch a full day of movies if it gets us from point A to point B without major incidents. Our reasons are a lot less judgy than that. 1) We don’t have a DVD or Blu-Ray player in our minivan, nor do we own any tablets for individual screen time. So it’s not really an option anyway, unless we want to go buy some. 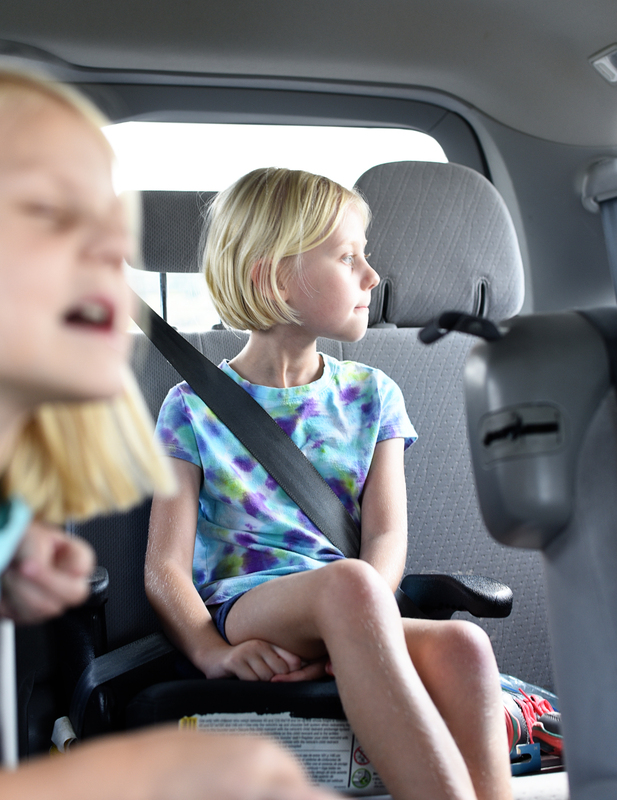 2) Our kids get car sick. Watching movies or playing games on a phone definitely increases their likelihood of throwing up, and I’d rather avoid that thanks. So if you have the ability to let your kids watch a movie AND know they won’t barf all over themselves, I congratulate you and am more than a little bit jealous. 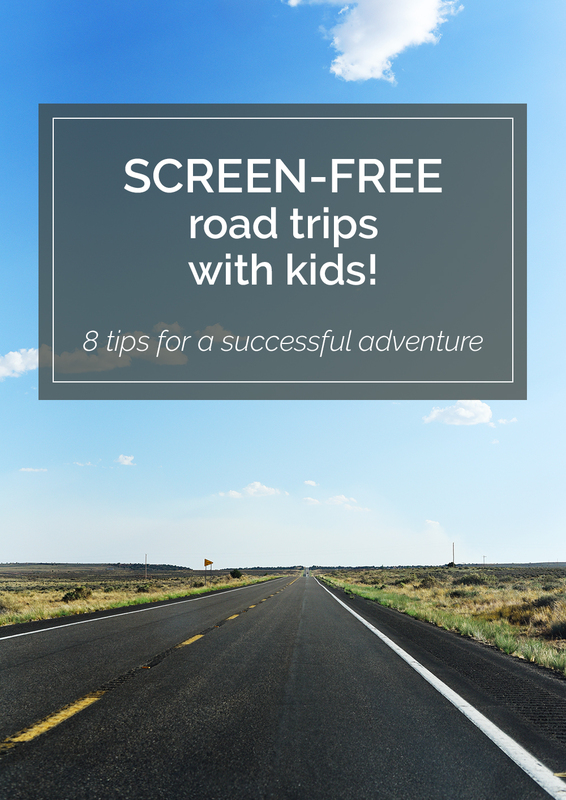 If you’re like me, though, or you’d simply rather put the screens away for a bit, I have a few suggestions to help you have a successful screen-free road trip with kids. When my kids know what to expect, they are SOOOOOO much better behaved. Shoot, I do better when I have realistic expectations too, so why should I assume they’d be any different? For us, this means a few things. Showing them where we’re going. They love to see where we are and where we’re going on a map. Even if they have no perception of distance, it helps to check the map every few hours and see that we are actually make progress. Explaining what they can + cannot do in the car. We can color pictures. We cannot play card games. Stuffies + dolls are great car toys; LEGOS, not so much. And everyone MUST wear a seat belt at all times. Reminding them to pay attention to their bodies. We have Ziplock bags stashed around the minivan for anyone who feels remotely car sick. If someone needs to go potty, they need to tell us as soon as they know, because we may not find a bathroom for another 100 miles. When you’re hungry, ask for a snack instead of whining, because while I will happily pass them some food, I will be much less happy if they start annoying everyone. Asking them to be helpers. When I explain that everyone is going to be tired of driving after a while, even me, and that we all need to help each other stay happy, they tend to rise to the occasion. The girls are so good at helping distract or entertain Ryan, which removes some of that burden from me. Realistic expectations set everyone up for a better day, no matter how old they are. 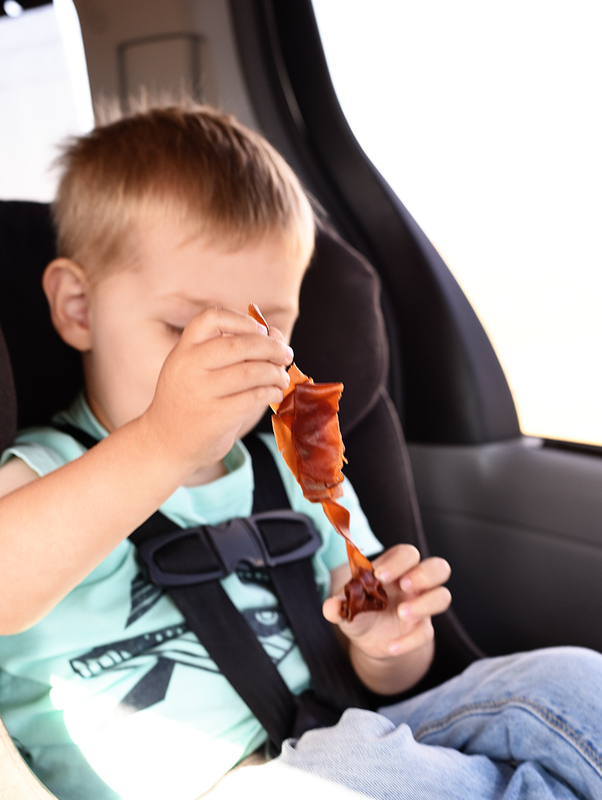 What’s a road trip without good snacks? Before we go anywhere, I make a point of asking the kids what snacks they would like. Then, no matter how ridiculous, I get them. I mean, if someone is asking for BBQ ribs, that’s not gonna hold up well in the car. But with very few exceptions, I just buy whatever they want. Not only does it give them something to look forward to, but it keeps their mouths too busy to whine. You guys. Margot photo-bombing this shot KILLS me. She was clearly feeling whatever we were listening to at the time. This right here is what mostly gets us through a screen-free road trip with kids: music they like and the occasional story podcast. When we aren’t listening to music, we like podcasts like Circle Round or Stories Podcast. The episodes are usually less than 20 minutes, which is perfect for breaking up a longer stretch without pushing short attention spans too hard. I’ve tried audio books, but the younger two struggle to be quiet enough for everyone to listen, and we don’t have individual devices for Mila to listen to one on her own. If we stick to what the littlest among us can handle, it works well. One of the smartest things my mother ever did was tell my little brother, “If you go to sleep, we’ll get there faster.” He took that very literally, thinking that if we got somewhere fast, it was because he had generously taken a nap. Obviously I’ve made sure my kids believe the same thing. No matter how long the trip, I encourage them all to sleep for a little while. It passes time for them, means I have one less person to placate for a while, and sleep schedules are weird on vacation anyway so it doesn’t matter if they’re still wired come bedtime. We’ll sort it out later. Old favorites or something new + novel…I do not care one bit as long as it makes my children happy for an hour or two. We usually have the girls pack their backpacks with a favorite stuffy, a book, and something to draw on. On these last two road trips, they shared the white board that came in our Kindergarten Toolkit, and that’s been AMAZING. For Ryan, I also pack a backpack of a few favorites, but I only give him a couple at a time. He can play with some trucks for the first hour, and when he’s bored, I’ll pull out a dinosaur. Spacing things out seems to help him not get bored of everything before we’re halfway there. Margot also managed to smuggle in a dozen My Little Ponies, so she wound up holding a fully on pony wedding from her booster seat. When someone asks, “Hey Mom, can we play I Spy With My Little Eye,” I cringe. It is not my favorite. But they love it and it keeps them busy, so we play. That pretty much has to be my policy if we want to survive this screen-free road trip thing: if it keeps them busy + happy, it gets a green light. We also look for letters of the alphabet on road signs, or see who can find the most cows, or count all the green cars. They’ve gotten really good at seeing pictures in clouds, and I frequently hear one of the girls say, “Let’s pretend that…” That’s my favorite. As they get older, we’ll be able to play more challenging (and interesting) games. For now, I’m happy to ask if they think that cloud looks more like an elephant or a duck. I mentioned this in an old post about road trips and car sick kids, and two years later I stand by this advice. Stop more often than you need to. Just because nobody needs to eat or use the bathroom doesn’t mean you won’t all benefit from a few minutes out of the car. We’ve stopped at rest stops, restaurants, roadside stands, and random turnouts that lead nowhere. If everyone is getting antsy, take 10 minutes to breathe some fresh air and stretch your legs. Even if you’re SO CLOSE to a more reasonable stopping point. And I get it. I’m the kind of person who would rather not stop until I absolutely need to get gas, but even I recognize that’s not always the sanest or safest way to go. Let go of your need to push the limits and just stop already. I have found it pointless at best and infuriating at worst to assume my kids will be anything but kids. They have small attention spans, small interests, and small bodies with small bladders. So I set my standards…small. Sometimes that means letting them fish for floor crumbs with a fruit roll-up because even if it’s sticky, at least they’re entertained for the moment. Sometimes it means blowing paper straw wrappers at them over and over for a solid half hour because they think it’s hilarious. Both true stories, by the way. If I think they’re going to keep my car clean or not have to have to pee every two or three hours or just be quiet + pleasant for an extended period of time, I’m going to be disappointed. They’re kids. That’s how they are at home. It’s probably how they will be on a road trip. Especially a screen-free road trip. Plus, just remember: you won’t be in the car forever. We can all do hard things for a little while, right? I always packed a damp washcloth in a Ziploc bag for each child. Sometimes it cleaned up messes or stickiness but more often than not it was draped over a hot head, wiping a hot face or getting sucked on. They got rinsed out and hung to dry when we arrived and moistened again on the way home. Everyone had their own to it was your own germs each way. I have zero memory of this and it sounds super gross but would probably be a hit with my kids!